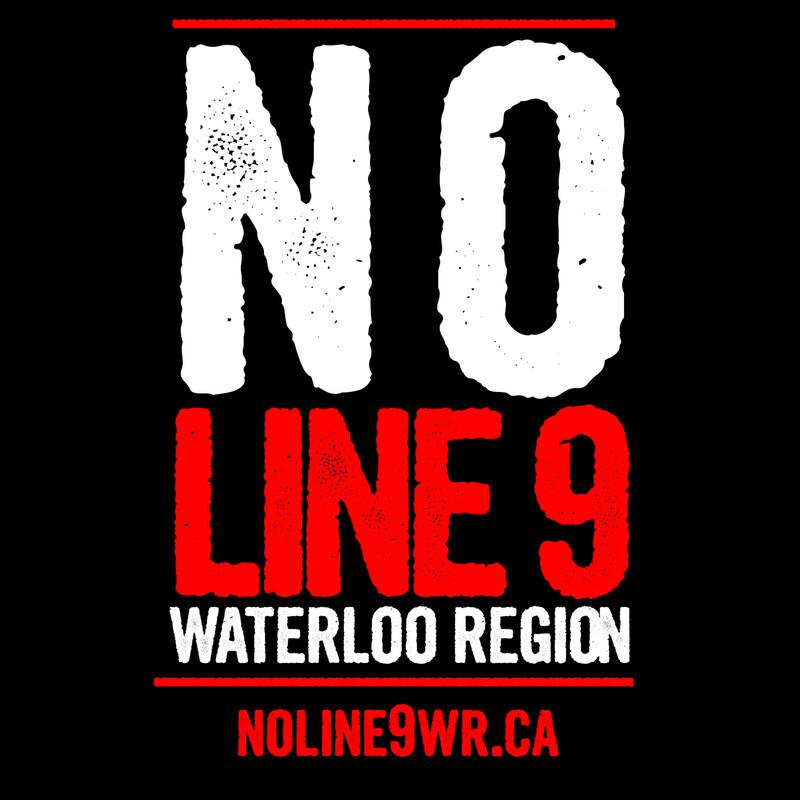 Call your councillors TODAY--Get the Region of Waterloo to say 'no' to Line 9! The Waterloo Region Coalition Against Line 9 has now presented at Regional Council and the Grand River Conservation Authority, bringing this issue onto their agendas. We're working to have these bodies issue statements of concern in advance of the National Energy Board hearings in mid-October. Councillors have started to take notice, but we need your help to make this their priority! Because the NEB hearings are less than two weeks away, it's important that they take a stand now. Call them now and tell them why you're opposed to Line 9 and expect them to take action to protect the Grand River watershed! - Call the regional councillors! I'm calling to share my concerns about Enbridge's Line 9 reversal and urge you to take a stand and support a Statement of Concern from the Region of Waterloo. Because the National Energy Board hearings on the project start on October 16, it's essential for this to be done in the next two weeks. Enbridge is applying to have tar sands bitumen pumped through the region and across the Grand River. From all the evidence we have, it's clear that this puts our region and entire watershed at risk. Bitumen and the chemicals used to dilute it for pumping are highly toxic, and extremely difficult to clean up--we saw this in Kalamazoo, MI where now, three years after the line 6b rupture, Enbridge is still struggling to clean up, and is dredging the river. A spill like this on the Grand would be devastating, and we shouldn't allow for that risk with Line 9. The process for implementing this project is also in contravention of multiple treaties and agreements that we are bound to in Waterloo Region and as the state of Canada as a whole. Enbridge and the federal government haven't lived up to their responsibilities, but we should take ours on locally--as residents on Six Nations land--and uphold these treaties by engaging in meaningful consultation and seeking the free, prior, and informed consent of Six Nations for any projects on or impacting their land. Right now with Line 9, Council can include these concerns in a statement directed to the National Energy Board that expresses the risk to the Region, and the Waterloo Region Coalition Against Line 9 will present this at the hearings. It's crucial that this statement is released before October 16, so we can bring these local concerns to the decision-makers for Line 9.